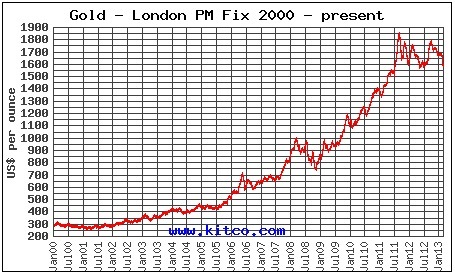 When you purchase gold bars there is one persisting question, especially as the bars begin to grow in quantity. That question is where on earth you should keep your gold bars between the time you purchase them and the time you may sell them once more. Throughout history the most popular option was to simply store your precious metals at home in a closet or other spot of safekeeping. This option was fine and good for the longest of times but as time wore on it became increasingly risky due to home invasions and the like. As time wore on, depositories, or safe places for storing precious metals and other valuables, became more and more popular. In the following few sections we will briefly elaborate on both storing your gold investments at home and storing them in a depository. The most classic option for storing gold is to keep it at your house or place of residence. Most people do not own hundreds and hundreds of gold bars so their collections are quite small and easy to store in a desk or closet. Storing your gold bars at home can only be executed properly if you follow a simple rule of discretion. This means that you should keep your investment activities on the down low and not tell anyone besides close friends and family. This may seem obvious but you would be surprised how often people brag about their investments to just about anyone. If no one knows that you have gold bars at your house then no one can victimize you or burglarize you. Another thing that you may want to be aware of is that purchasing a safe is probably a good idea. So long as your budget allows it, an at home safe gives you an increased level of security that a drawer or closet cannot provide. Without a safe, a burglar that breaks into your home can simple bust down your closet door and make away with all your bars. If you had a safe properly attached somewhere in your house, even if a burglar found it they would still not be able to make away with it. Not all safes have to break the budget either, there are plenty of average sized safes out there at the disposal of more average investors. Insurance on your gold bars is also available in certain circumstances and with certain providers. Having insurance while storing your gold bars at home protects your investment even through catastrophic events such as house fires and tornadoes. The other popular option for investors is to keep their gold bars in a depository. Storing bars in a depository takes all the responsibility of taking care of your bars from your hands and places it into the hands of the proprietor of the depository. The way a depository works is that you basically pay rent for the amount of space your bars take up in a given organizations safe. Most depositories resemble large banks in that they are basically no more than a large vault full of gold bars, as well as other valuable metals. By storing your gold in a depository you are insuring your investment against things like damage, theft, and misplacement. Depending on the depository you choose the fees involved in storing your gold there do not have to be outrageous. As it is with anything else you are advised to shop around amongst the different depositories in order to get the best value for your money. Whenever you would actually like to retrieve your gold you simply tell the depository and they ship it back to you. If you are close enough you may even be able to go retrieve your gold yourself. Depositories come in a variety of shapes and sizes and they are not all created equal so shopping around is a must.